Facebook fundraisers are new to our ministry but they are already making a BIG impact! In 2018 we raised approximately $2,000 via Facebook and as we start off 2019, our supporters have already raised $1,850 via Facebook birthday fundraisers. We are grateful for the opportunity Facebook presents for our supporters to host a fundraiser of their own to impact our mission and to bring awareness to our cause. 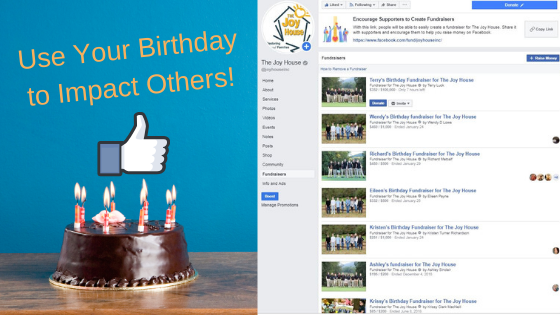 If you are interested in hosting a birthday fundraiser on Facebook, Click HERE for more information.